When the park board employed its first full-time engineers it’s likely that those engineers also did the drafting or “delineating” of the plans for new parks. The assumption is supported by the attributions on the first plans published in Minneapolis park board annual reports that included someone’s name other than that of Theodore Wirth, who became superintendent of parks in 1906. In the 1908 and 1909 annual reports, the park system’s two engineers, A. C. Godward and W. E. Stoopes, were cited as both engineer and delineator and no other delineators were credited. There may have been none. I. Kvitrud. I haven’t even discovered his first name. (Note 11/29: Thanks to an anonymous tip, which I’ve confirmed, I learned that Mr. Kvitrud’s first name was Ingwald. Thanks, “T”. For the Google spiders, that’s Ingwald Kvitrud!) Kvitrud was identified as the delineator of three park plans in 1910 and 1912. He was an engineering graduate of the University of Minnesota and served as an officer of the Minnesota Engineering Society in 1910 and 1912. He was hired in 1914 as a full-time instructor in Drawing and Geometry at his alma mater and he was still employed there in 1919, his annual salary having increased in five years from $900 to $1500, according to University records. The most interesting reference I’ve found to Kvitrud was in an article in the San Francisco Call, July 19, 1913. In a story datelined Minneapolis, Kvitrud was identified as the Minneapolis park board clerk in charge of selling material from the demolition of buildings for a park at The Gateway. The park board had purchased the land and buildings for The Gateway in 1909, but didn’t raze the buildings then because tenants still had leases that had to be honored—and they were profitable to the park board. This was one of the few instances, I believe, in park history when the park board abused its power to condemn property. Condemning property before it was needed, in part because it produced revenue, seems ethically sketchy to me. The gist of the Call article was that lumber being removed from the razed buildings was of a size no longer manufactured. One 4 x 14-inch pine beam removed from the building was 26 feet long! The article noted that beams wider than 12 inches were no longer made from pine, only fir. Was that because the huge white pine trees in Minnesota that had once surrendered such enormous beams had all been felled? Or was fir a superior wood? The significance of the article, however, is that it provides evidence of the wide range of duties performed by those on the engineering staff, even university-educated engineers. Perhaps disposing of razed building materials didn’t suit Kvitrud and that’s why he left to become a university instructor. Charles E. Doell. Doell’s name appears on three documents in the 1912 annual report. A map of the park system contains the notation that it was “drawn by Chas. E. Doell.” The plans for Sumner and Stewart fields, however, both have the initials “C. E. D.” in the lower right corner. I presume they were put there as Doell’s initials to indicate he drew those plans, too. His employment by the park board at that time is consistent with the claim upon his retirement from the park board in 1959—as Superintendent of Parks—that he had worked for the park board for 48 years. What makes the timing more interesting, however, is that in the spring of 1912 Doell was awarded the prize for “manual training” as a senior at Minneapolis South High School. He apparently started working for the park board even before he finished high school. Coincidentally, the man who presented the prize to the high schooler was Alexander A. McRae, a banker who would later serve 18 years as a park commissioner. Doell earned a degree in engineering from the University of Minnesota in 1916 and went to work full-time for the park board. Like several others on the park staff, he enlisted in the U.S. Army during WWI and saw active duty in France. In the 1919 annual report—issued after the war had ended—Theodore Wirth noted the “great personal efforts” of engineer A. C. Godward during a “renewed period of active improvement work,” but also noted “the somewhat retarded, but nevertheless timely arrival from military service of [Godward’s] former assistant, Mr. C. E. Doell.” I don’t think Wirth intended any insult. It is remarkable that Wirth already valued Doell’s work so highly; he was only three years out of college and had been gone for a year in military service. Following his return from military service, Doell worked another five years in the engineering department before moving into park administration as secretary to the park board. He held that position until he succeeded Christian Bossen as superintendent of parks in 1945, becoming only the 4th superintendent of Minneapolis parks in the 63rd year of the park board’s existence. He was superintendent until he retired in 1959. Doell is one of three Minneapolis park superintendents to receive the Cornelius Amory Pugsley Award, a prestigious national award that recognizes lifetime contributions to parks in the United States. The other superintendents who won the Pugsley Award were Theodore Wirth and Robert Ruhe. I wrote more about Doell’s term as superintendent in City of Parks, and much more about him is readily available. Read a brief bio of Doell. Hennepin History Museum has several files of Doell’s papers, including articles he wrote for several publications. Doell was a prolific writer for magazines and published several books under his own name and contributed chapters to others. Claude F. Gosslee. Gosslee is cited as delineator on almost all park plans in 1923, 1925 and 1926. The 1925 plans for both the Bryant Avenue footbridge over Minnehaha Creek and the “preliminary study” for a concert stadium at Riverside Park also contained notations that they were “designed by” Gosslee. The Delineator Gap. I am puzzled by the gap in “delineators” on annual report plans from Kvitrud and Doell in 1912 to Gosslee in 1923. Why was no one credited for drawing the 120 or so plans produced for annual reports from 1913-1922? The only exception was a credit to “Magney, Tusler, Arnal” for the plans for the north end of Victory Memorial Drive in 1919. Magney Tusler was an architectural firm that worked often with the park board in later years. The 1911 annual report was the first that included an engineer’s report, under Godward’s name. He noted that the engineering department employed two draftsmen and five field men. That appears to have been the norm for the era, except during WWI, when the engineering staff practically disappeared to fight or teach. In most years the park board employed 1 or 2 draftsmen full time, with the exception of 1916 and 1922 when four draftsmen worked for the board, which is odd given that the 1922 report also noted, “Compared with former years, a comparatively small amount of drafting work for new plans was required.” Several annual reports do mention, however, that an additional draftsman or two were hired late in the year, presumably to prepare plans for the annual report. If those draftsmen were temporary employees, their names might not have been added to the plans for that reason, although in 1912 the name, or initials, of a part-time draftsman recently graduated from high school, Charles Doell, were included on two plans. Gosslee’s address was 4036 Bryant Avenue South. If you’re familiar with the neighborhood, you know that’s barely a half-block from the house built for Theodore Wirth at Lyndale Farmstead in 1910 that was also ostensibly an administration building. That also made him the neighbor of Christian Bossen, the parks superintendent in 1940, who lived at 4032 Bryant. Bossen came with Wirth to Minneapolis from Hartford, Conn. in 1906 and became assistant superintendent under Wirth and succeeded him as superintendent in 1935. Bossen never lived in the superintendent’s house, however, because Wirth was allowed to remain in the house after he retired. He didn’t leave the house until he moved to San Diego for health reasons in 1945. That was the year Bossen retired as superintendent. Bossen’s successor, Charles Doell, moved into the superintendent’s house when it was vacated by Wirth. My investigations into the engineering staff deepens my suspicion on that score. First, while the house was being built, Wirth wrote in the 1909 annual report, “Through the kindness of the Court House Commission the office formerly occupied by the Municipal Arts Commission has been transferred to the park board for a drafting room, which was very much needed.” So the park board had a new drafting room even before the new “administration building” was completed. Second, as I began to compare park plans and staffing levels, I realized that the one or two draftsmen employed most years by the park board didn’t spend most of their time delineating creative new plans for parks. I’m not a draftsman (although I loved my architectural drawing class in seventh grade at Mounds Park Jr. High, and have wanted a drafting table ever since), but I don’t think it would take an experienced delineator a few weeks or a month to draw one of the park plans featured in annual reports. As lovely as they are… I would imagine most of the work of the draftsmen required fairly close cooperation with the surveyors and engineers —something that would have been difficult if the draftsmen were isolated in the administration building at Lyndale Farmstead. Perhaps it is more realistic that the temporary draftsmen hired at the end of some years, perhaps to assist with plans for the annual report, worked for short periods in the drafting rooms. Third, the photo of the engineering staff—”the old gang in the engineering rooms”—at the Court House, as the photo was labelled, featured in a recent article on those Engineers, suggests that the engineering staff worked closely together and close together, and that probably means at the park board offices downtown, not at Wirth’s house at Lyndale Farmstead. I recall seeing a photo of draftsmen in the basement of the superintendents house, but can’t locate it. If anyone knows where I could find that photo, or has other evidence that the engineering staff was permanently located at the superintendents house, please let me know. Another mystery. George B. Moore. Moore’s name is on all plans in the 1924 annual report as “delineator.” That’s all I’ve been able to find about him—and why he drew the plans that year instead of Gosslee. Harold W. Lathrop. Lathrop was the delineator of all plans from 1927-1931. We know much more about Lathrop than most of the other park board engineers or draftsmen, in part because he, too, won a Pugsley Award—but not for his work in Minneapolis. Lathrop enlisted in the U.S. Navy during WWI before he finished high school. After the war, he attended Dunwoody Institute and the University of Minnesota before joining the park board staff in 1924. J. A. Brunet. Brunet is credited with drawing the Post Office Park (Pioneers Square) plan in 1933. It’s the only reference to him I can find in park board records or elsewhere. Iver H. Lauttamus. Lauttamus is credited as delineator of park plans in the 1934 and 1935 annual reports. He was another U of M engineering grad who also had served in the military during WWI. Following Theodore Wirth’s retirement as park superintendent at the end of 1935, the annual reports of the park board gradually became much less detailed. The last two park plans published in annual reports were the 1936 plan for a “System of Lagoons in Glenwood Park” credited as “Designed by Theodore Wirth, Superintendent Emeritus,” and a “Suggested Preliminary Plan for the Extension Northward of West River Road.” That plan carried the stamp of C. A. Bossen as Superintendent and A.E. Berthe as Park Engineer. The delineator was R. L. Fefferman, an employee who was cited as a “Sr. 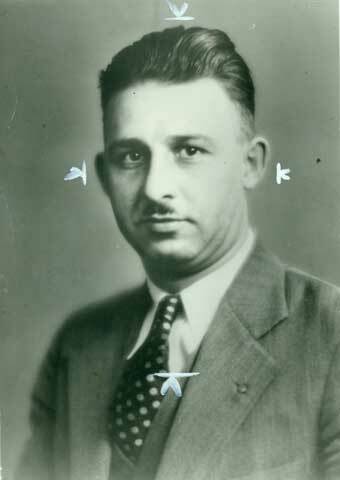 Civil Engineer” as co-author of several reports for the park board in the 1940s. In 1939, the park board returned to commercial typesetting and printing of its annual report, after eight years of economizing on production costs, but never again published reports that were nearly 200 typeset pages and contained ten or twenty drawings of planned or possible parks. I’m sure frugality was the primary reason, but I also suspect the reports reflected the personalities of the superintendents. Wirth was a much more aggressive and flamboyant personality with a greater affinity for the spotlight than his successor Christian Bossen, and his successor, Charles Doell. Wirth also managed parks at a time when urban parks were still being defined and public opinion may have needed more guidance on what was possible or desirable. Wirth’s many park plans provided that. By the 1940s there was no longer a debate over whether playgrounds and parks were compatible. The primary concern in the design of parks had shifted from injecting a little natural beauty into the city to creating the most efficient—and affordable—play spaces in crowded quarters. Pretty drawings may have been needed for the former, but weren’t so essential to the latter. If you have any additional information on any of the people profiled here, please let me know. Postscript: If you’re interested in finding historical plans or proposals for various parks, I can provide a searchable Word document of the catalog mentioned here. Leave a comment here with your email address. The Special Collections department at the Central Minneapolis branch of the Hennepin County Library also has a copy. Thank you for your wonderful blog, I read your entries frequently! Thanks, Julieann, for the information, the link and the compliment. I like Brunet’s drawings. I believe your info establishes Brunet as the first architect on a park staff full of engineers. I have to add something. I just did a quick search to see what more I could learn about Brunet and instead I learned something significant about another important name in Minneapolis park history. In a list of graduates of the U of M School of Architecture in 1930, right below James A. Brunet was Inez C. Crimmins, who received a Master in Architecture degree that year. I know Inez Crimmins name because she was a leader in the creation of SWAC, the Southwest Activities Council, a booster club for playground programs at Linden Hills and Pershing parks in the 1950s. In 1958, she became a Minneapolis Park Commissioner, the third woman to serve on the park board. See a photo of her with legendary park commissioner Maude Armatage on Armatage’s 90th birthday here. Thanks, again, Julieann. The Minneapolis Directory for 1909 lists an Ingvald T. Kvitrud, student, living at 2001 S. 7th St. in the household of Thomas A. Kvitrud (who owns a blacksmith shop at 1831 Minnehaha Ave.). Also boarding in the house are Gilbert Kvitrud, an electrician; Henry T. Kvitrud; and Robert Kvitrud, a clerk. Wives were not yet regularly included in the Directories, but at least Thomas A. may have had a wife who also lived with the family.